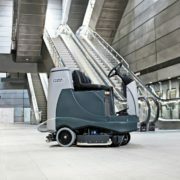 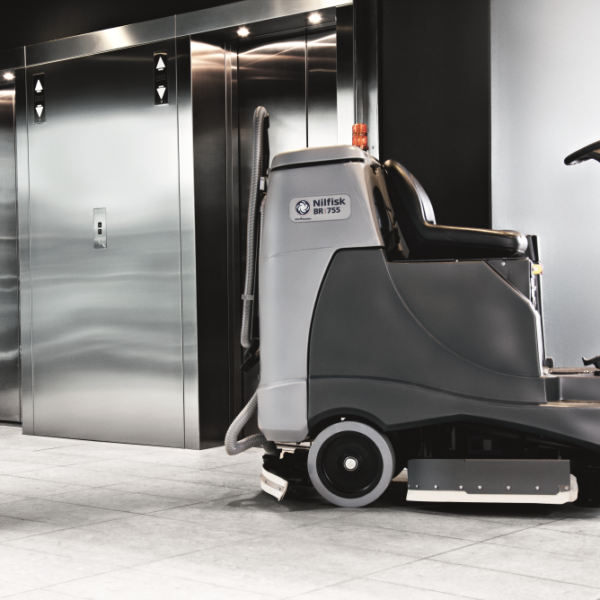 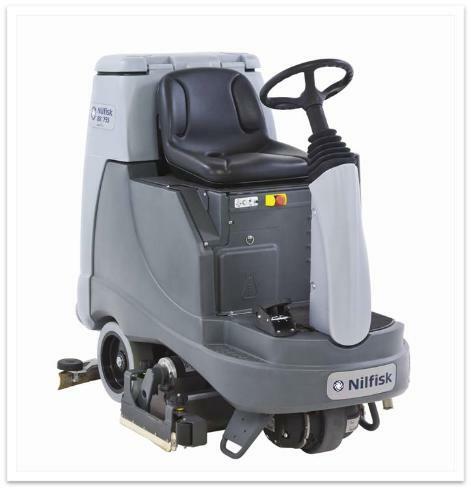 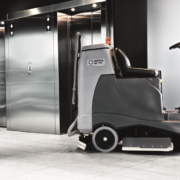 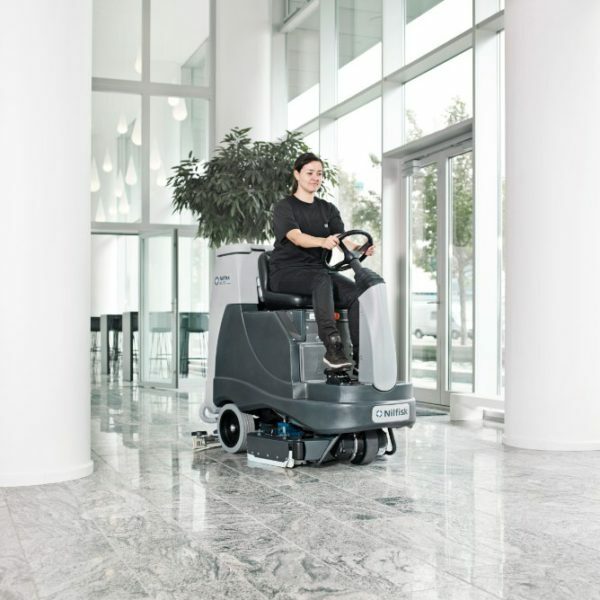 The BR855 is a mid size rider scrubber with a focus on performance, ergonomics and reliability. 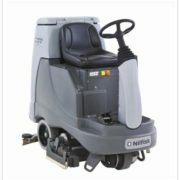 Large enough to cover ground quickly whilst still compact in design. 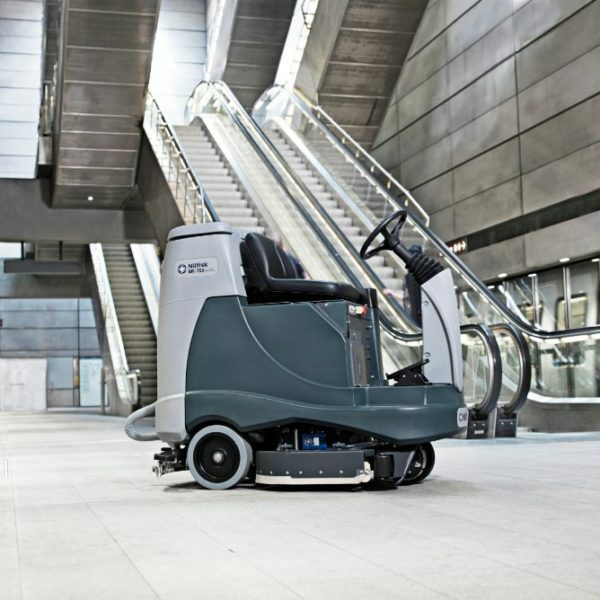 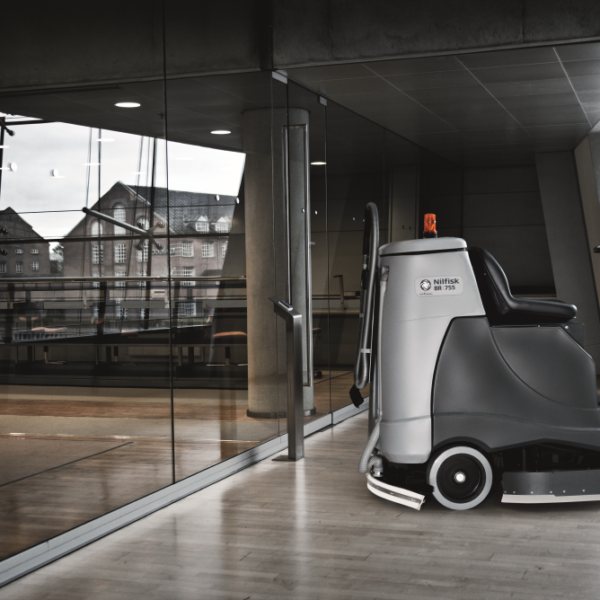 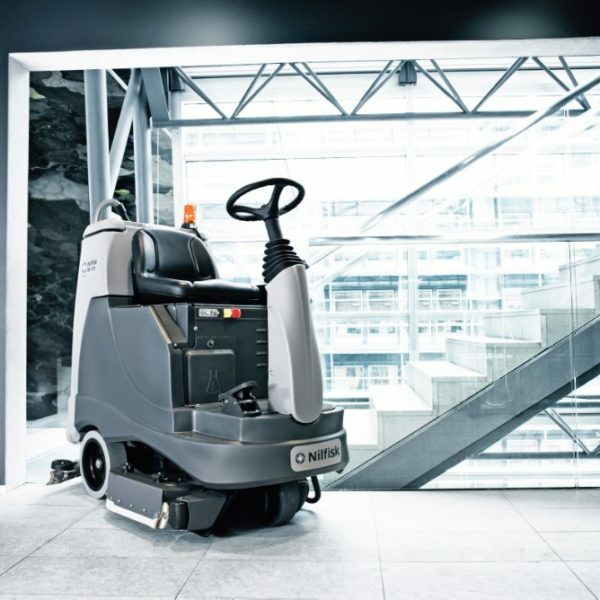 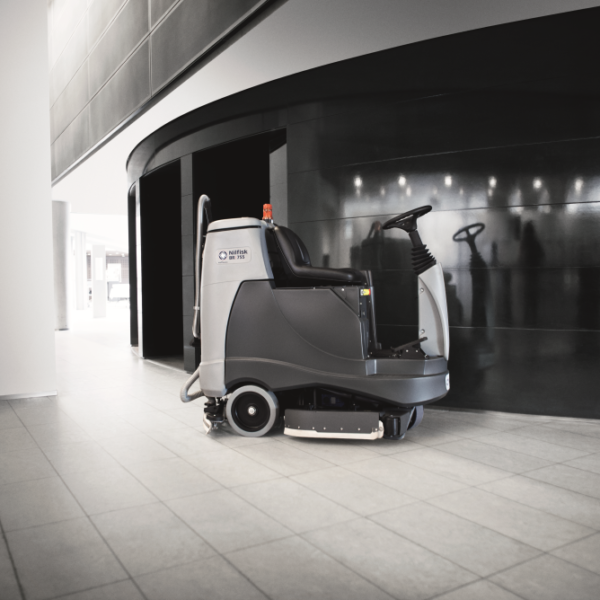 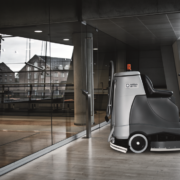 Key features including an extremely low sound level, making around the clock cleaning possible in sensitive areas, outstanding traction for efficient double scrubbing tasks, and excellent drying efficiency. The Ecoflex system keeps the consumption levels in control, but it also opens the possibility to boost temporarily water, detergent and brush pressure for more aggressive cleaning.